Poachers beware! Counter-poaching authorities have a new tool at their disposal to identify, track, and destroy elephant poaching networks thanks to Fulcrum, a smartphone app developed by a team located in St Petersburg, Florida. Poachers beware! Counter-poaching organizations have a new tool at their disposal to identify, track, and destroy elephant poaching networks thanks to Fulcrum, a smartphone app developed by a team located in St Petersburg, Florida. Fulcrum has been used for years by businesses and municipalities to collect forms and field data using customizable smartphone apps. Now, the geospatial technology behind Fulcrum is finding a new use in the savannahs of Kenya - tracking the location of elephant poachers and ivory smugglers & sharing this information quickly with wildlife authorities before they have a chance to strike again. This initiative, known as tenBoma, is an counter-poaching initiative between The International Fund for Animal Welfare (IFAW) and the Kenya Wildlife Service designed to protect Kenyan wildlife by identifying, mapping, and destroying poaching networks. 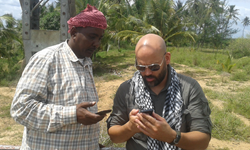 “IFAW’s tenBoma project is taking the lessons learned from counter-terrorism and applying them to wildlife protection. Fulcrum is a powerful new weapon being used in the battle to destroy poaching networks,” said Azzedine Downes, IFAW President and CEO. With patrols using Fulcrum-equipped smartphones, these teams traverse the plains looking for poachers, and plot observations on a real-time map shared with authorities and wardens. Reports from the field will be assembled in a new crime tracking center to be analyzed, interpreted, and shared with local law enforcement and government communities. “The tenBoma initiative is one of the most important internationally-based projects to effectively address the problem of illegal wildlife trade”, noted Dr. John Konarski, CEO of the American Geographical Society. “The work of the Fulcrum team on the tenBoma initiative is recognized world-wide as a model for combatting the effects of illegal wildlife trafficking on global security. 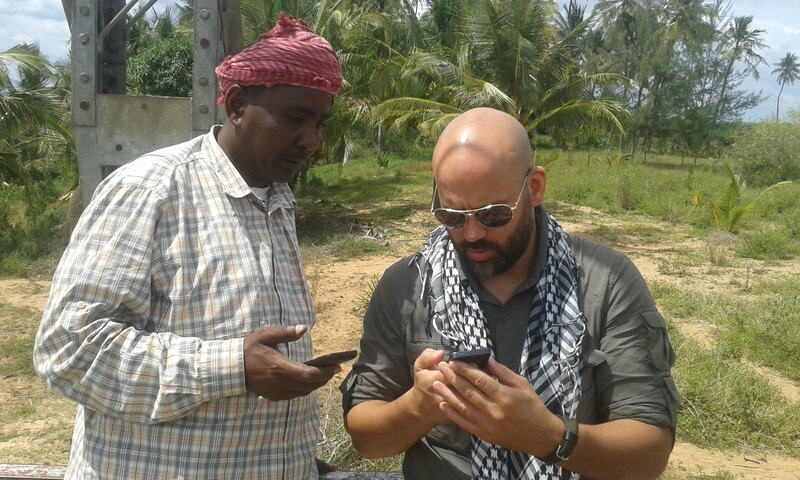 The experts at Fulcrum, and their smartphone technology, lead the industry in having a real and practical impact on fighting terrorism and protecting our wildlife…AGS is very proud of what tenBoma and Fulcrum have already accomplished and look forward to working closely with them in the future” added Dr. Konarski.